Mmmmm - gluten-free pierogies. I'll have to head into my special gluten-free bakery in London again soon for another batch. 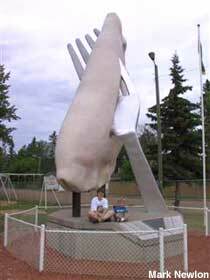 Check the 10 Quirkiest Roadside Structures in Canada here.